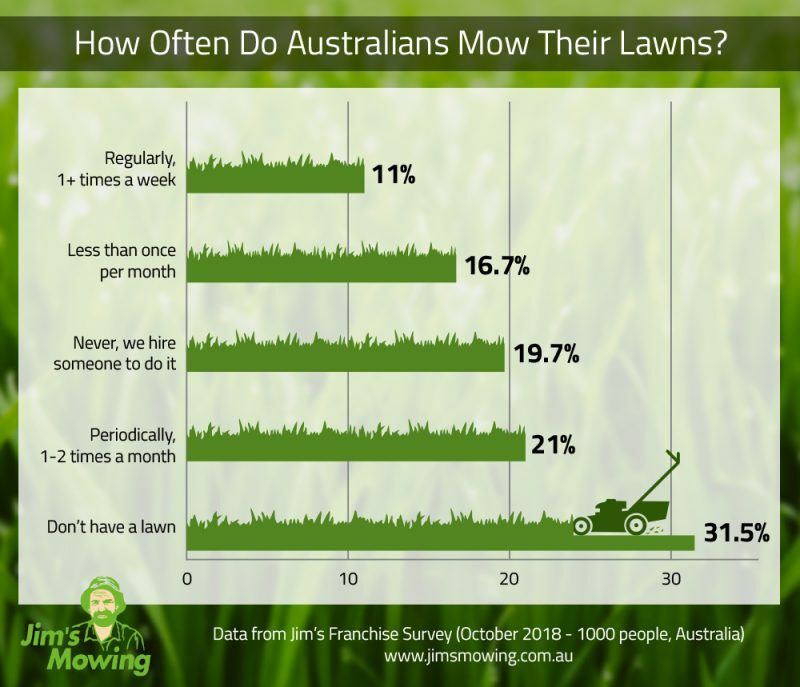 Jims Franchise Survey | How Often Do Australians Mow Their Lawns? 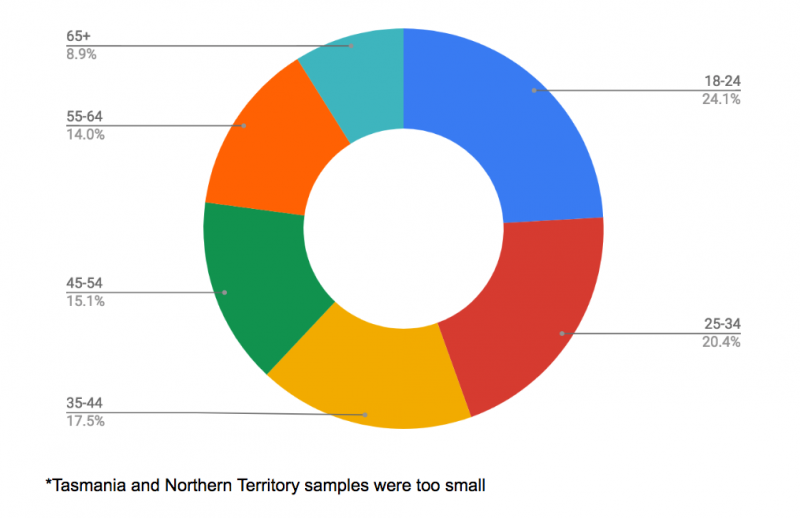 Home » Articles » How often do Australians mow their lawns? 12.8 per cent of Queenslanders mow their lawns at least once a week which is the best result of all states with South Australia coming in last place with as little as 8.3% mowing weekly. This figure may seem unsurprising given that Queensland is the ‘sunshine state’ of Australia, but it turns out that Perth gets the most sunshine out of all our cities. Data from the Bureau of Meteorology shows Perth receives a long-term average of 8.8 hours of sunshine a day with Queensland in third place receiving 8.2 hours. Rain is another factor that promotes grass growth but Tasmania and Victoria are actually our wettest states. The ‘lazy generation’ has come through with the goods. More than 1 in 4 millennials say they mow at least once per week. More than a third (37%) of Australians only mow once a month. 19.7 per cent say they hire someone to mow their lawn, 24 per cent of them are millennials. So there you have it, our nations mowing habits in a nutshell. 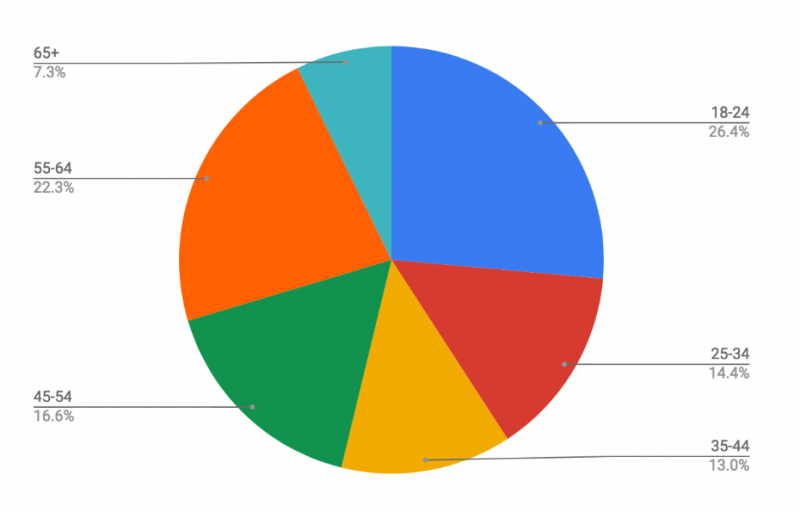 Are the results as you would expect or did you find them surprising?